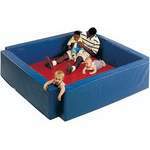 Playards (a.k.a Playpens) is one of the important must-haves for new parents. 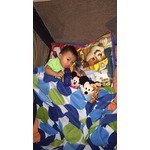 The simple styles are perfect as portable day beds for napping away from home or as a secure location for Junior when you need your hands free. 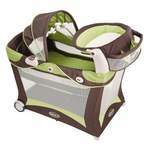 More deluxe models also include removable change tables and diaper storage for extra convenience. 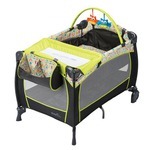 Choose a playard with a compact folding design you can easily transport in your car trunk. Our Tip: older toddlers can climb out of these playards or tip them on their side, so follow manufacturer guidelines and understand your child's gymnastic capabilities for maximum safety! 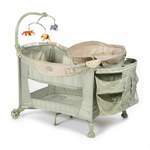 Some well-known playard manufacturers include Graco, Safety 1st, Cosco, and Eddie Bauer. Tres cher! Je l'est recu en cadeau parce que je n'aurais pas payé ce montant la. Pratique avec sa table a langer...oui...mais une necessité? Non! Tres beau et utile par contre. A part le mobile qui ne tourne pas... Il y a aussi une petite lumiere et quelques sons. Good product and totally cute. Love all the different options on it. Pricing was perfect compared to everything else. I would buy this product again for my kids. This product is amazing. I used this for both of my kids. I used it while camping as a small bed, when we went visiting place, I used it on the beach as a small play area away from bugs. 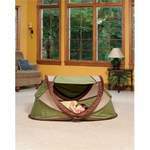 It is cozy and folds up easily into a nice small bag. This is a perfect little play yard. You can use it inside or outside. 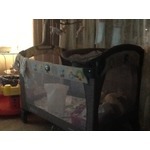 Can be used to store extra toys or to keep babies inside the gate if you are outside. 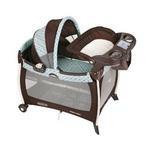 Love, love, love the GRACO SILHOUETTE PACK 'N PLAY PLAYARD WITH BASSINET & CHANGER, TOWNSEND. It's very sturdy, i pland to buy a second as a gift for a friend. I'm still in love with this bag after 3 years. I was given it when my son was born now he is 3. I use it to store his puol ups and drinks in when we go out of town.